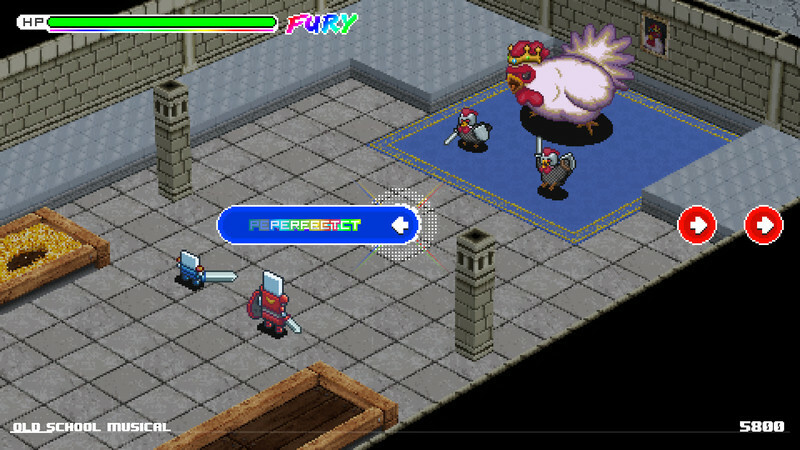 What has 50 amazing chiptune tracks, a loony story mode, 32 different chicken types to fight, and takes you on a tour of all your favorite retro games? It's Old School Musical of course! Tib and Rob are the heroes of a wacky adventure that will teach them where all of the bugs in our favorite games come from. Have you ever played a rhythm game before? Well, this is like that, but much better! 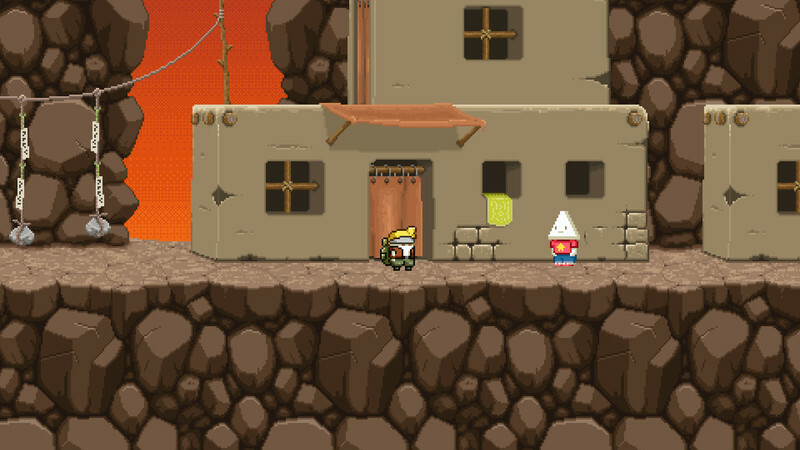 With each note, you are responsible for the success of our two heroes' quest. 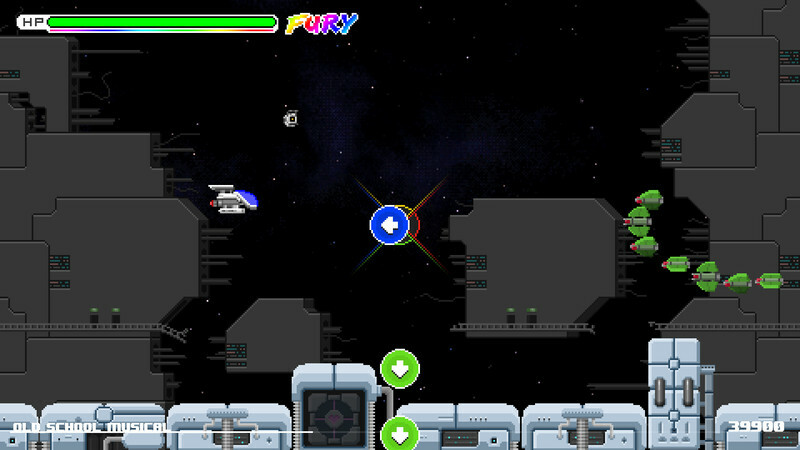 Swing your sword and shoot with your spacecraft to the beat of chiptune tracks from Dubmood, Zabutom, Hello World, Yponeko and Le Plancton. Old School Musical is ready to rock PC and Nintendo Switch with a mix of nostalgia-fuelled narrative and a mix of melodies. Take two adventurers through a series of adventures in a range of worlds that are drenched in nostalgia and chocked full of chiptunes. In the end, there really isn’t anything else quite like Old School Musical. It’s a game that’s been several years in the works – and when the outcome is something as unique and special as this, I daresay every moment was worth it. 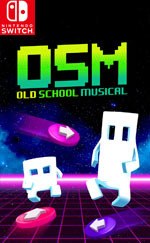 Whether you’re a fan of old school rhythm games or just want a hilarious trip through video game history, Old School Musical is absolutely worth picking up. Old School Musical does an admiral job of packing 50 chiptune tracks onto a single package. Unfortunately, I can't say I'm a fan of how the game went about implementing them. 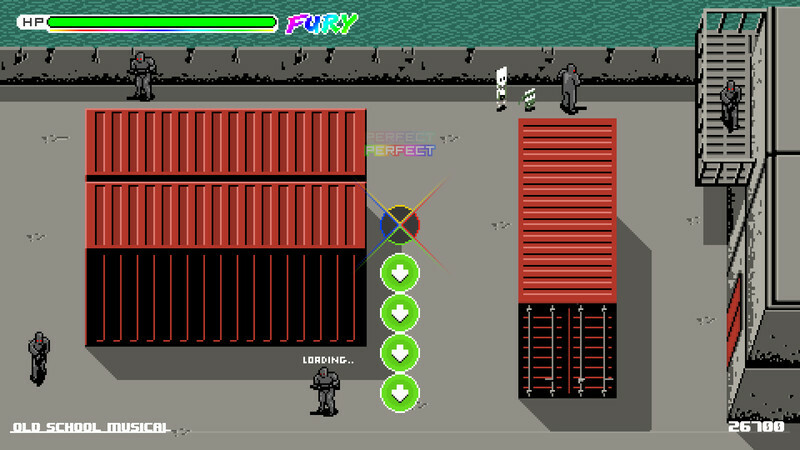 If it had solely been the Arcade Mode with a lot of the 8-bit homages in the background, that would have been fine. But having to plow through the clumsy Story Mode took some of the joy out of the game for me. The best part of Old School Musical is what lies beyond the story, which if you want a chiptune-fueled rhythm game with a lot of retro gaming references, is worth getting through. The fun here makes for a good time, but I can’t help but wish it was backed up by the actual soundtracks from the games it was referencing instead of chiptune artists calling back to better songs. Old School Musical was definitely spot on with the music, which is great since that’s the main premise of the game. While the beginning of the game was odd, the overall gameplay is a lot of fun. It’s fast-paced, unique, and upbeat. I loved revisiting some old games and listening to the cool music. It’s a simple game that requires a lot of attention and it’s a game that I’ll pick up and play once in a while. Don’t expect a deep experience here, folks. What you will find is a rather expansive list of artists and songs paying homage to one of the best eras in gaming. I just could have used a little more refinement in its mechanics and the mixture of the additional levels outside the story to do something a little more spectacular during my main playthrough. Riche, Old School Musical pèche cependant par un certain classicisme au niveau de son gameplay, qui se contente du strict minimum en la matière. Les mordus du genre trouveront avec le mode difficile de quoi s'occuper lors de longues heures de martelage intensif, mais il ne faudra pas compter sur son mode multijoueur assez anecdotique pour rallonger une durée de vie déjà très conséquente. Old School Musical é um jogo de ritmo com uma simplicidade bem marcada mas também com um forte foco no enredo. As influências de clássicos retro são um aperitivo interessante para qualquer jogador mais nostálgico e as músicas "chiptune" fazem um bom trabalho em reproduzir referências antigas, embora longe da qualidade das obras que lhe servem de inspiração.